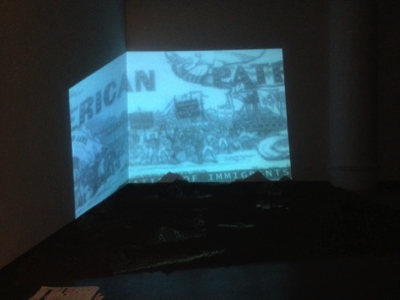 Ground is an installation discussing immigration, law, and social policy as tools of control in the U.S. Three historical times were overlapped: The settlement of the English in the New World during the 17th Century, immigration settlement of NYC in the turn of last Century and Contemporary American Immigration by Latin Americans. 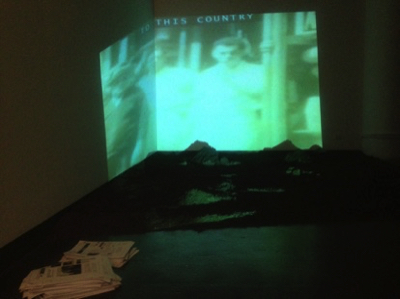 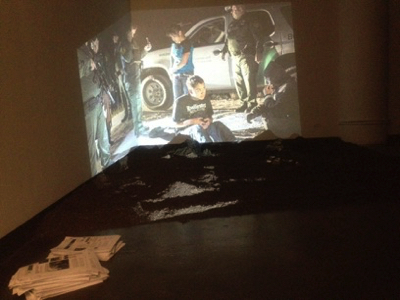 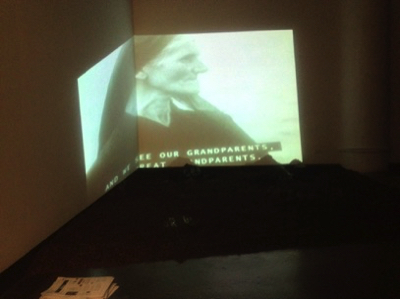 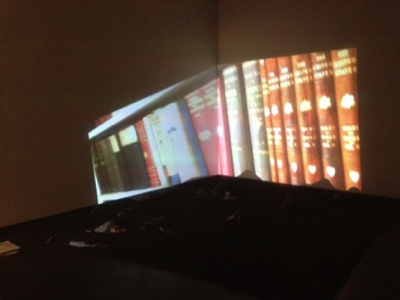 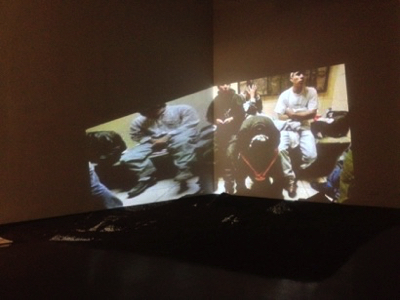 In a room covered with soil, hundreds photo-stills of a traditional home built by an English immigrant that remains preserved in the family until today and images of the lives of immigrants in New York City from the turn of the 20th century and Mexicans crossing the US border were distortedly projected on the wall. 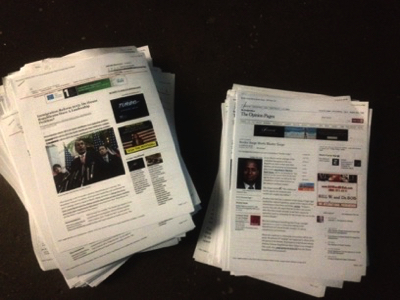 Fliers containing the immigration policies and discussions since the Fall of the Twin Towers in NYC were piled on the floor and available to the public to take home.